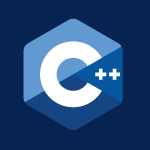 In this part of my C++ tutorial I finish covering C++ with Regular Expressions. If you missed the 1st part watch it first. This time I’ll cover Back References, Substitutions, Look Ahead, Or Conditionals and 3 problems for you to solve. All of the heavily commented code follows the video below. Use it to receive the best results in your studies. std::string str4 = "https://www.youtube.com "
std::string str8 = "14125551212 4125551212 "
"(412)5551212 412 555 1212 412-555-1212 "